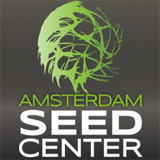 Here you can find all information about the cannabis breeder Samsara Seeds. We've collected data about 17 Cannabis Strains breed by Samsara Seeds (14 of this strains got reviews of the SeedFinder users, with an average rating from 7.6 out of 10!) Click on the strains to find more informations, pictures, reviews, comparisons and sources for a variety - and/or check out the Breeder Info here at the page to find out more about Samsara Seeds. Its also possible to visualize all Samsara Seeds strains together with all their Parents or Hybrids with our dynamic maps - check it out! Click here to visualize all Samsara Seeds strains including all known hybrids and descendants with our dynamic map! Here you can watch all Samsara Seeds strains and their ancestors (sorted by origin) with our dynamic strain map! 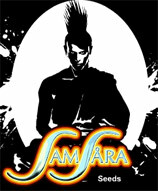 samsaraseeds.com is the official shop of cannabis seed bank Samsara., Samsara is a cannabis seed bank specializing in autoflowering and feminized marijuana seeds., Buy marijuana seeds at our online store and get the best prices on automatic and feminized., Our cannabis seeds come from the best varieties (White Dwarf, Mazar, Low Ryder, Black Domina, Skunk...) and produce high yields in a few weeks.